This dish is high protein low in calories. It is a no meat dish. 3 cups of minced Seitan. 1 pkt Lagsana sheets, long thin are best. 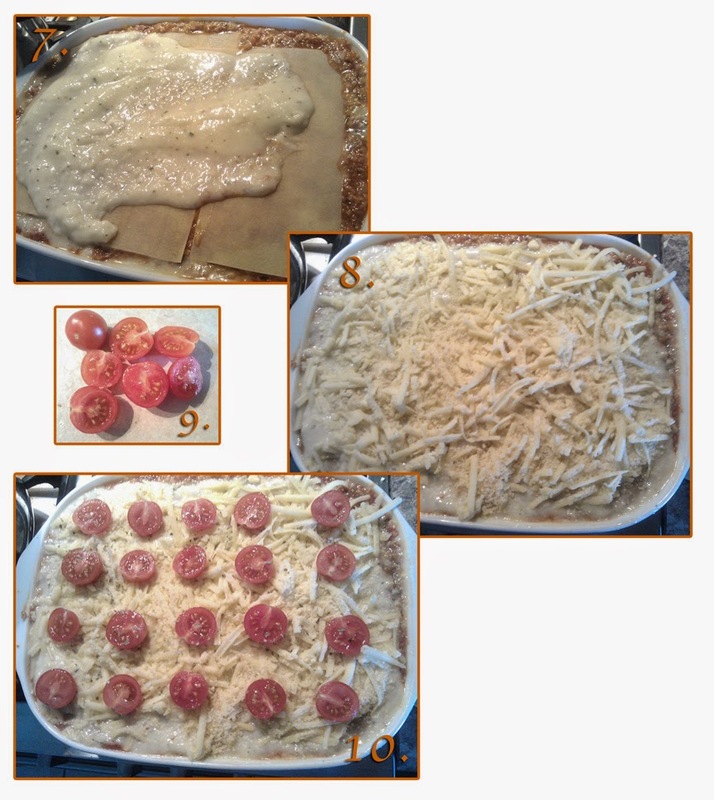 3 cups of grated cheese. 2 cups of skim milk. 1 punnet of ripe cherry tomatoes, cut in half. 1 large tin of diced tomato. 1 large an onion, diced. 3 Dessert spoon of olive oil, 3 teaspoon of Oregano, 2 teaspoon of Mustard seed, 2 teaspoon of Coriander , Parmesan cheese, 3 Bay leafs, 2 teaspoons of corn flour, 1/2 cup of low salt tomato sauce or 3 tablespoons of tomato paste. Mesclun lettuce mix to garnish. 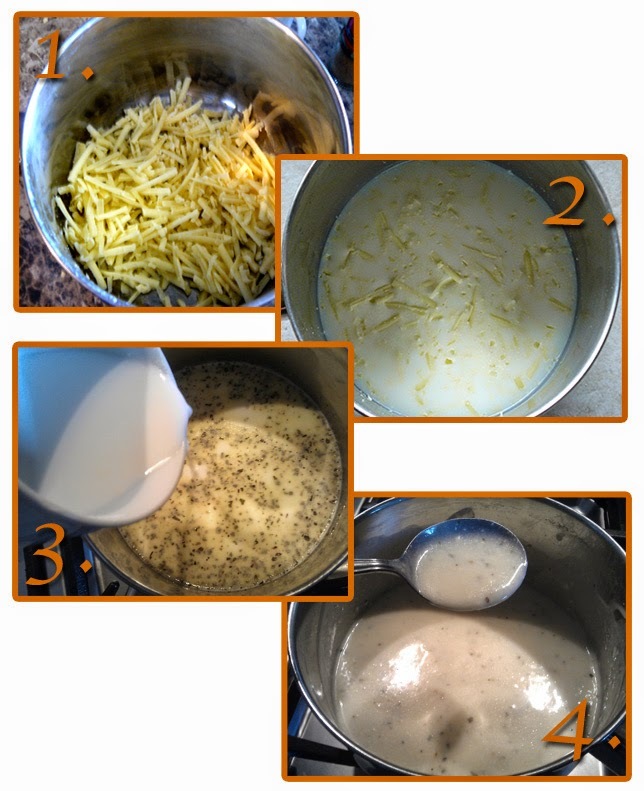 1 - place 1 cup of cheese in saucepan 2 - 2 cups of skim milk, 1 teaspoon of Oregano, 1 teaspoon of Mustard seed, 1/2 teaspoon of salt, bring heat up but do not boil milk. Allow the cheese to melt into the milk. 3 - mix 2 teaspoons of corn-flour in a small amount of water pour into hot milk/cheese mix 4 - stir until it is thick like custard, sit pan aside for now. Method 2, Seitan Lagsana Sauce. 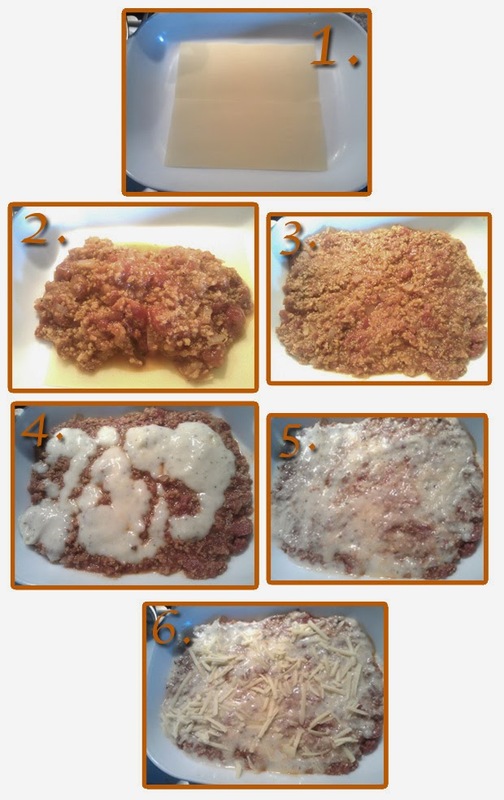 1 - Pour olive oil into saucepan and warm up, 2 - place chopped onion, 1 teaspoon of Oregano, 1 teaspoon of Mustard seed, 2 teaspoon of Oregano, 4 cloves of garlic, crushed, 2 teaspoon of Coriander the Seitan mince, stir till onion is soft. 3 - now add 1 large can of diced tomato. Using the same can add 1/2 can of water then add 3 Bay leafs, combine all. Cook for at least an hour, after approximately an hour add 1/2 cup of low salt tomato sauce or the 3 table spoons of tomato paste. Method 3, building the Seitan Lagsana. 1 - place 2 or 3 strips of Lagsana sheets on the bottom dish depending on what size dish you use. 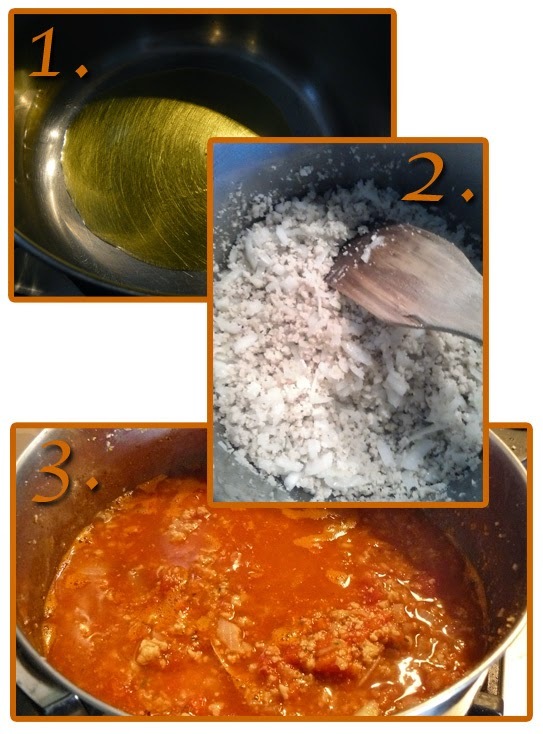 2 - Ladle 1 or 2 scoops of sauce on top of the first sheets 3 - spread sauce cover the sheets. 4 - pour cheese sauce over lagsana sauce 5 - spread it with a spoon so it covers the sauce. 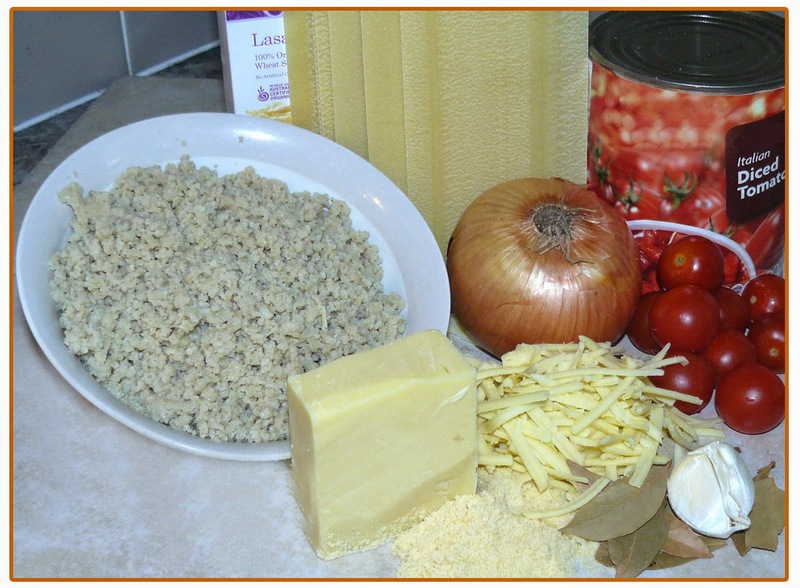 6 - then sprinkle grated cheese lightly over the top. Repeat the process until you get almost to the top of the dish. Method 4, building the Seitan Lagsana. 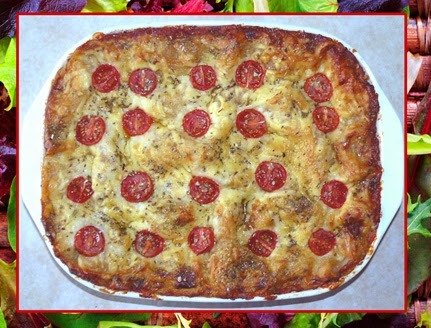 7 - last sheets, place 3 sheets of Lagsana on top pour cheese sauce on top spread evenly over the sheets, 8 - then spread grated cheese on top along with a light sprinkle of Parmesan cheese, 9 - cut cheery tomatoes in half 10 - place tomatoes evenly over the top with a light sprinkle herbs. Your Lagsana is ready to go into the oven, cook until it is golden brown on top. Note, you can use Italian herbs mix if you like.